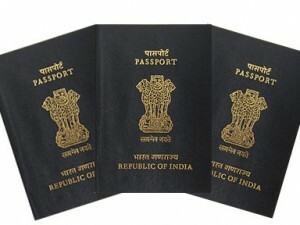 The Ministry of External Affairs has eased the process of issue of passport by allowing applicants to submit any one of their photo identification cards with date of birth (DOB) as proof of DOB. Applicants of passports can submit any one of the following documents – Birth Certificate, PAN card, school certificate, Adhaar card, driving licence, or election card, etc. as proof of date of birth. The online passport application form now requires the applicant to provide the name of father or mother or legal guardian, i.e., only one parent and not both. This would enable single parents to apply for passports for their children and to also issue passports where the name of either the father or the mother is not required to be printed at the request of the applicant. The total number of Annexes prescribed in the Passport Rule, 1980, has been brought down to 9 from the present 15. No attestation/swearing by/before any Notary/Executive Magistrate/First Class Judicial Magistrate would be henceforth necessary. Married applicants would not be required to provide Annexure K or any marriage certificate.